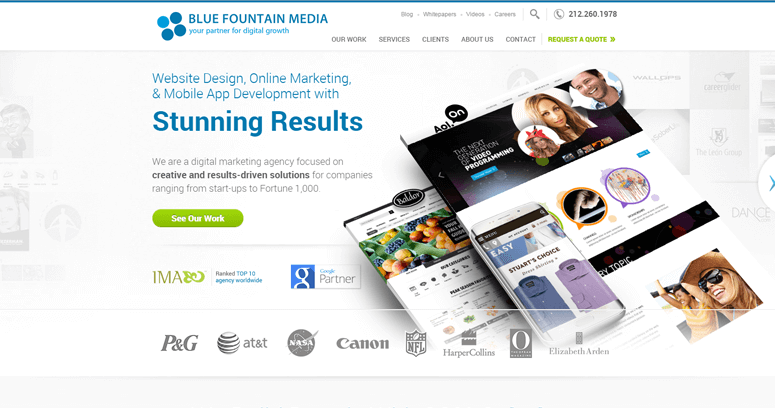 It is extremely important to make sure that when choosing a web design company that a business chooses the right one. 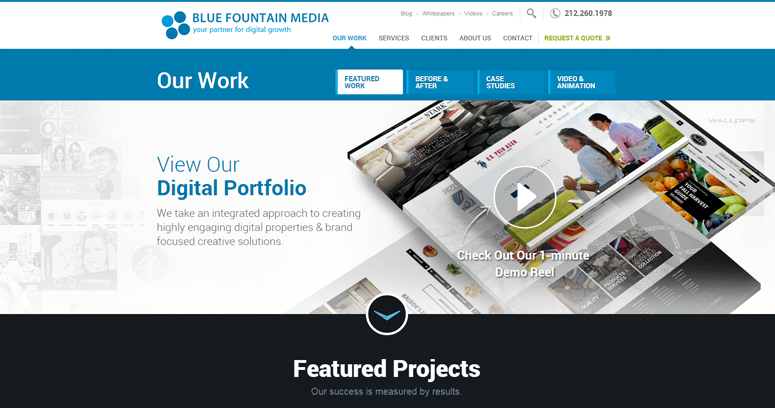 Over the years, Blue Fountain Media has spent their time building up their staff to make sure that they have the best minds available in their individual fields. Currently, they actually have the best web designer working for them, which helps to improve their ratings, within the industry. 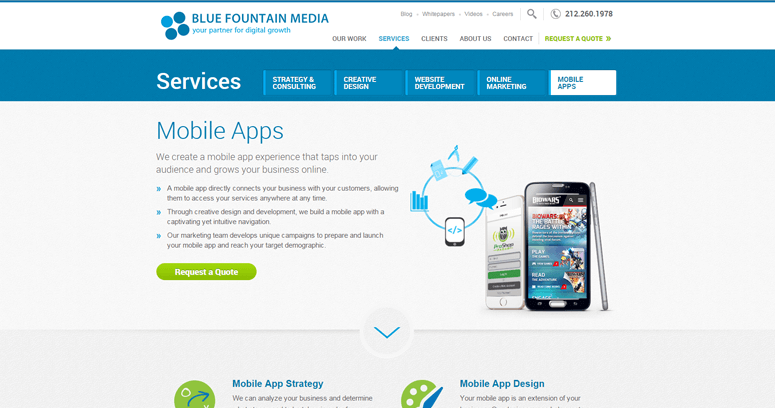 However, all of their staff are professional, and they know what they are doing regardless if they are designing a website, creating a mobile app, coming up with an online marketing campaign, or providing strategy & consulting for their clients.